Recently I confirmed that a smoke detector can be useful. I forgot a sauce on the stove and it burnt. I left the flat and luckily heard the smoke alarm from outside! 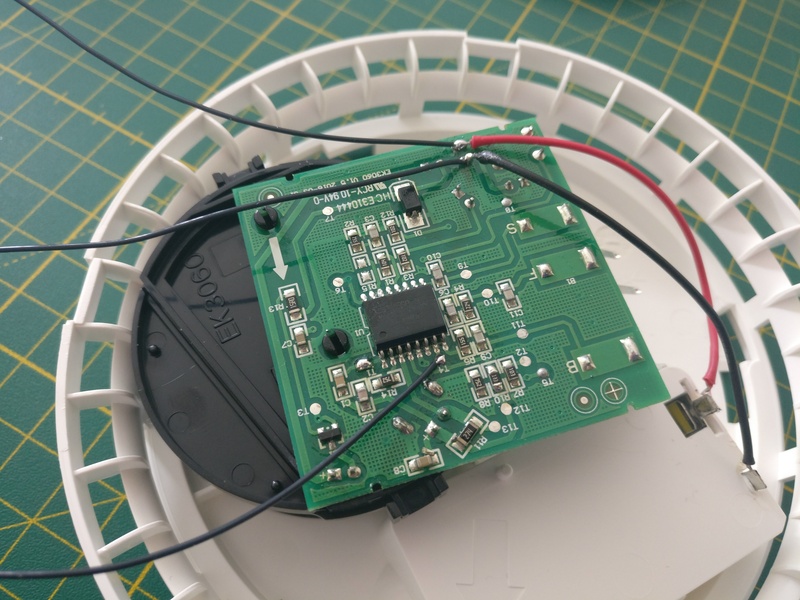 So, to be safer in the future I wanted to make a network-connected smoke detector that reports to my home-assistant instance. From there it can notify me via SMS or flash lights or sound an alarm. By chance I found a smoke detector at IKEA. I needed to see if it can be hacked. Test pin 4 can be used to solder the trigger to. It turns out the micro controller that is used (CS2105G0-S12) offers a nice pin (Pin 7 – I/O) to be used for external electronics. Conveniently the PCB has a test pad (T4) that one can solder to. 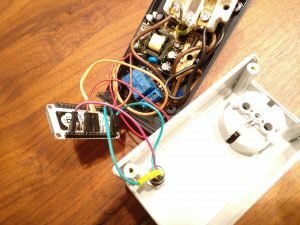 On the interwebs™ I found a design that uses the internal battery of a smoke detector to power an ESP8266. 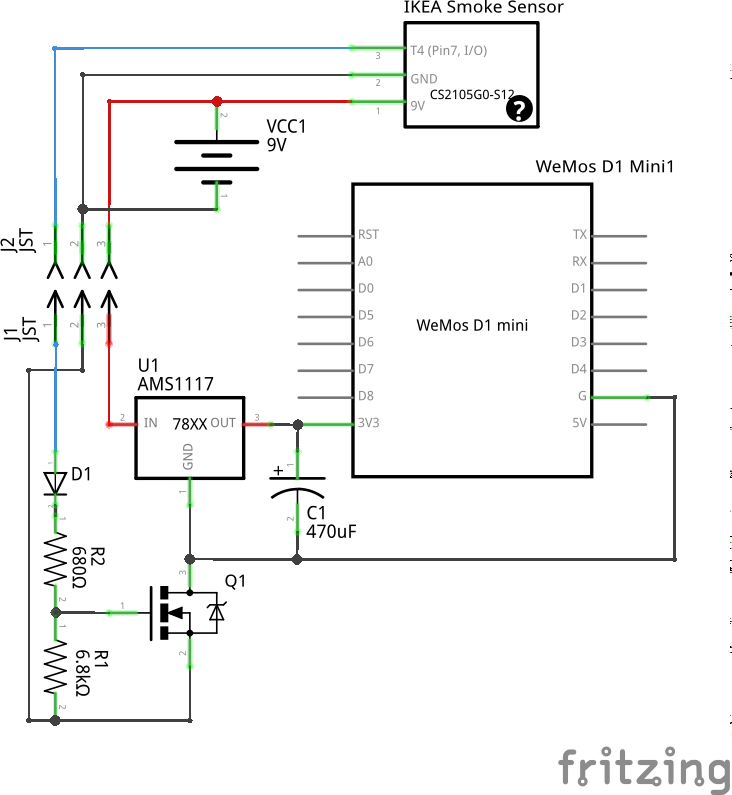 I modified the layout to work for a Wemos D1 mini. Switching the transistor to a Mosfet, allowing more current to pass, was the fix. 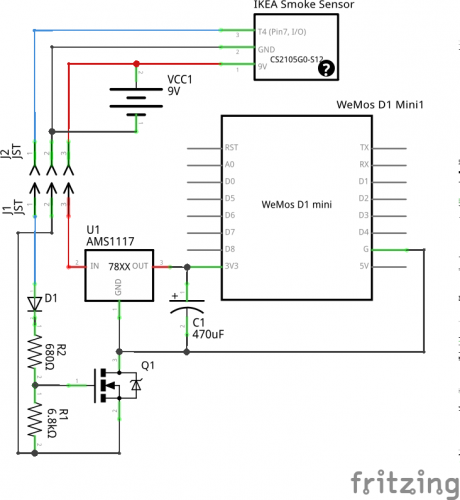 The layout shows how the Wemos D1 mini is powered. It runs MicroPython, only when the alarm goes off. An alarm must be active for about 20-30 seconds for a message to go through. The wifi module connects to a local wifi network and sends a MQTT message to a pre-defined channel. 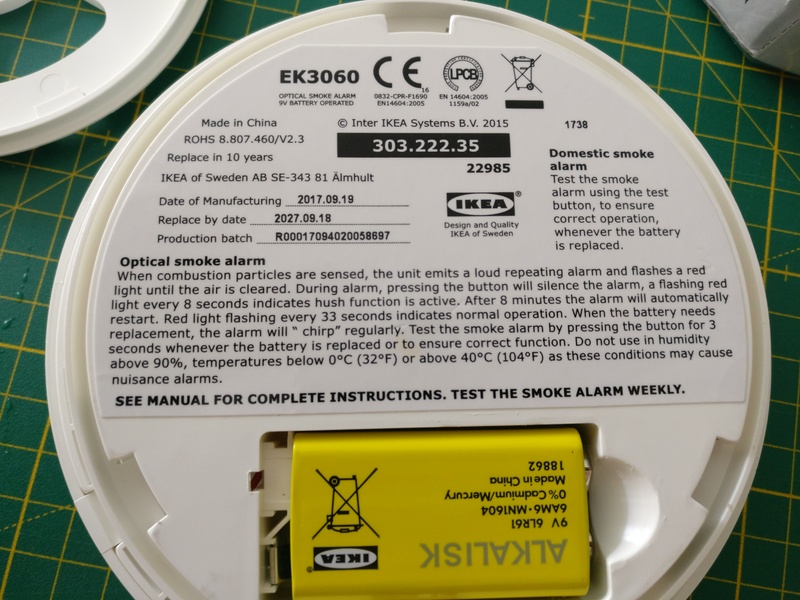 The I/O-Pin 7 of the smoke detector is high at 9V when smoke is detected. The Mosfet will be switched on and the battery now powers the D1 mini as well, allowing notifications via network. The ESP8266 on the board is flashed with MicroPython. 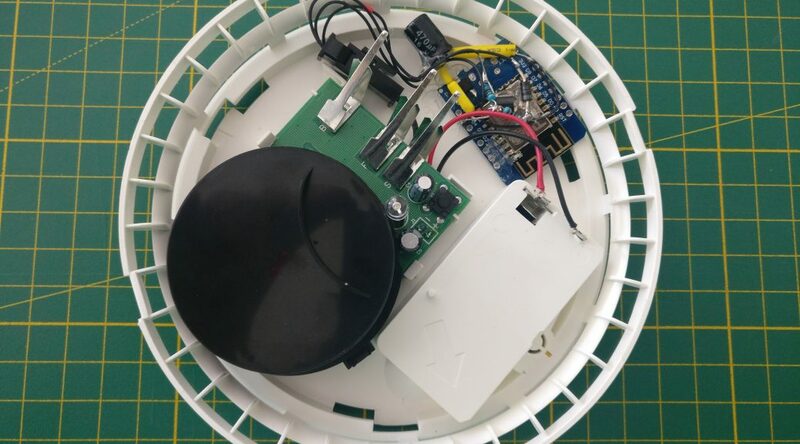 The script connects to the local wifi and notifies home-assistant via MQTT that smoke is detected. Home-Assistant does the rest. 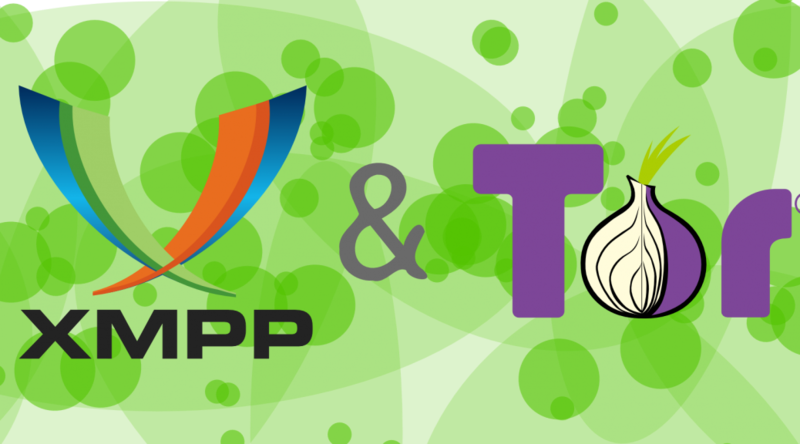 The source of the script can be found here on gitlab or on github. I made a Wordclock with MicroPython and an ESP8266, and one with a Raspberry Pi and Python. I gave a talk at Grazer Linuxtage about the build process. You can see the talk on CCC’s media website or on YouTube. The slides can be found here: https://flowolf.github.io/glt18-talk. At some point I’m planning on releasing the source code and the vector files for the Wordclock face. Have still some cleaning up to do. In the mean time: there are several word clock projects out there that use a Raspberry Pi and Python; just search for them. I was looking for sensors that allow to monitor the status of a door. Typically those are magnet triggered switches that send some sort of signal when the magnet moves away and comes back. I wanted something based on Z-Wave. 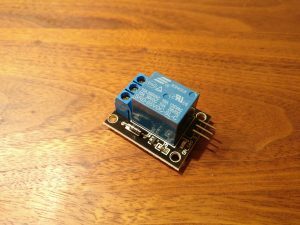 I’ve already light switch relays that are running on Z-Wave and am very happy with them. 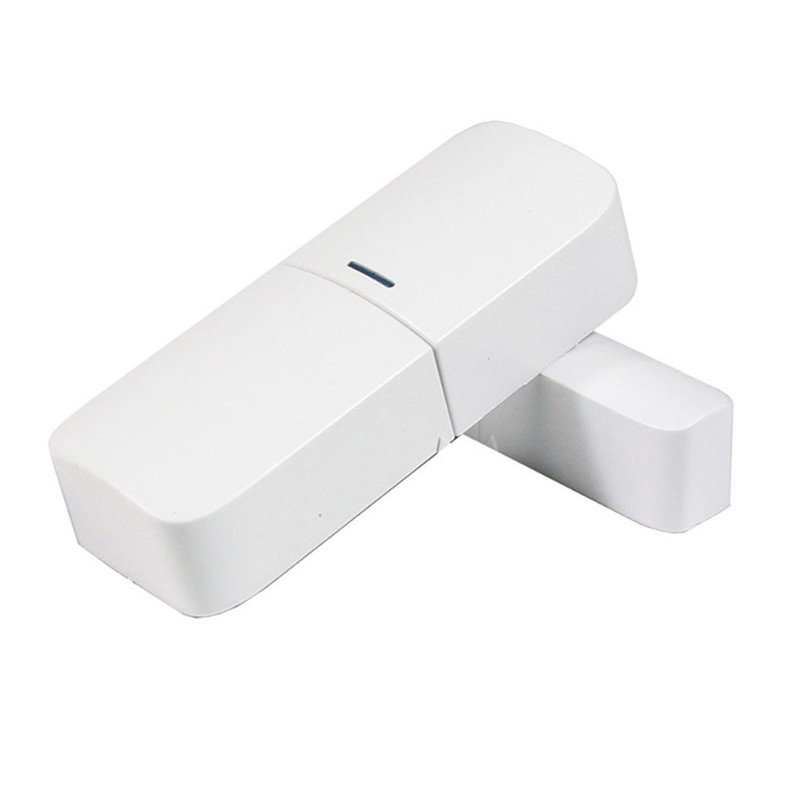 Z-Wave is on the pricier end of RF-devices. 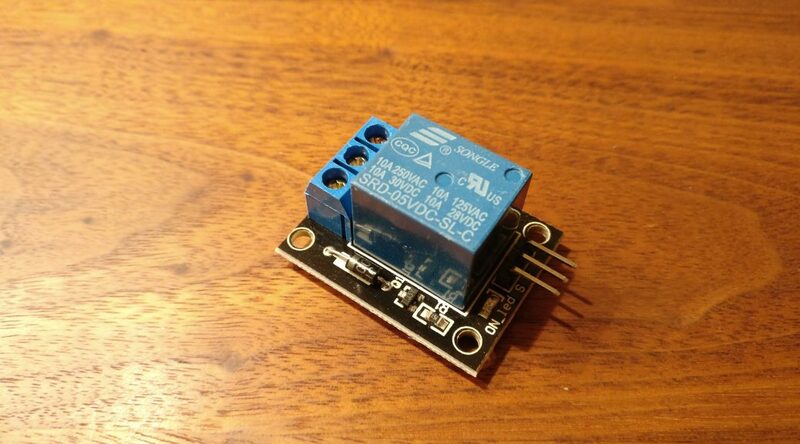 433Mhz switches would be much cheaper, but Z-Wave offers nicer handling and hopefully more reliability. Many of these sensors come in at around 40€. That is quite pricy so I opted for the cheap chinese solution at around 13.5€ per piece. You just have to be patient: 4+ weeks delivery time. Setup into Home Assistant was straight forward. 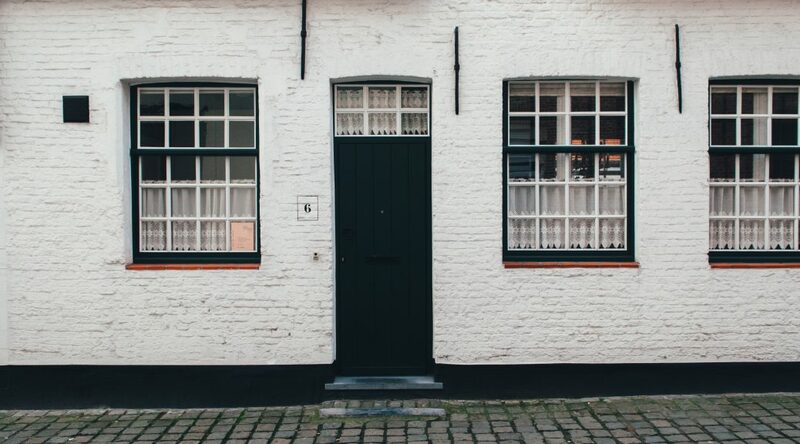 Add the device to the Z-Wave network via the web interface, rename it to mydoor… but then… How does the device report ‘door open’? 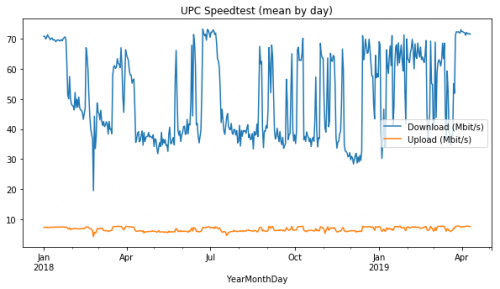 The binary sensor that showed up, did nothing. 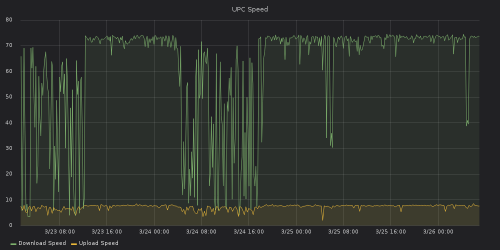 After some fiddling and searching I found that the sensor.mydoor_access_control changes it’s state rather unspectacularly from 23 to 22. It’s so inconspicuous that I didn’t notice the change the first few times I kept looking for changes. Perfect! 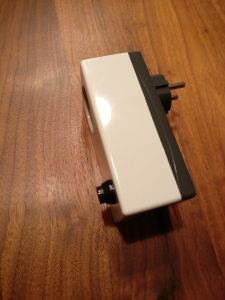 there is something we can use to integrate it to Home Assistant for automation and other stuff. Luckily there are templates that allow us to turn this into a binary sensor which is more useful in automations. that’s it. hope this helps. thanks to @Tinkerer from the Home Assistant chat group for the help. I gave a talk at Grazer Linuxtage 2017. It’s about Home Automation and how you can use Python to realize it. 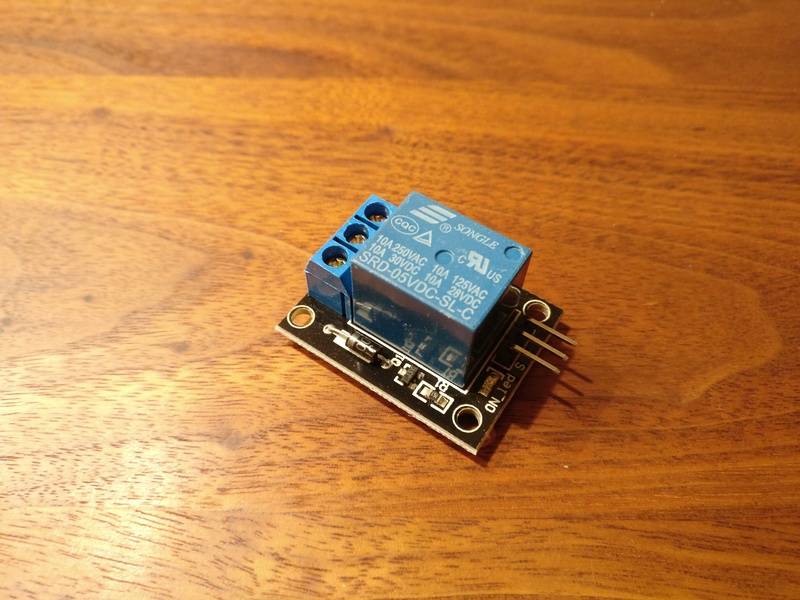 The talk covers a simple example of a DIY sensor that runs MicroPython. Finally I give a short introduction to Home Assistant, a Python Home Automation Hub, that allows you to integrate with hundreds of devices. Home Assistant offers integrations to light switches, smart lights (Hue, Trådfri, Lightify,…), door sensors, heat control units, and many others. I’ve been playing around with MicroPython and Home Assistant. 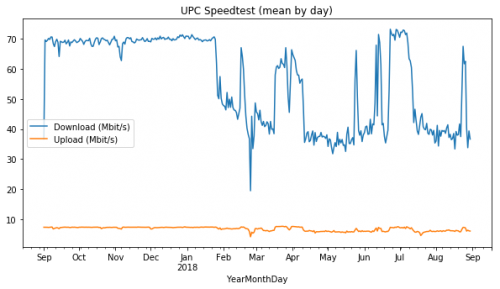 MicroPython is a ‘bare-metal’-Python flavor that you can use to program ICs. Home Assistant is a home automation and home control software written in Python 3. 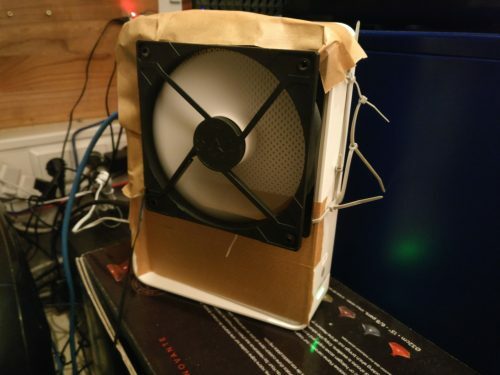 It can be hosted on a Raspberry Pi. 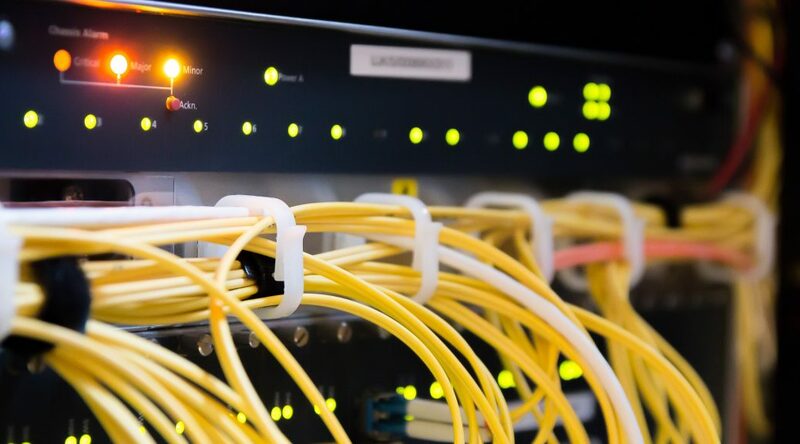 It enables you to connect a vast amount of different devices: lights, switches, sensors, locks etc. This is a raw guide on how to make your own smart plug and connecting it to MQTT which is then connected to Home Assistant. You will need a relay board (single relay), a NodeMCU board, a power adapter for 5V, a case, a button, some wire and a 1k resistor. 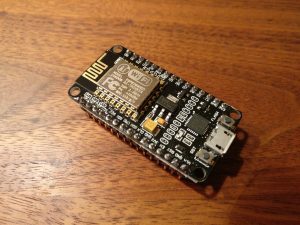 Flash the MicroPython firmware to the NodeMCU board. Put the ‘relay_mqtt.py‘ file on it as main.py. That way it will be run when the device boots up. 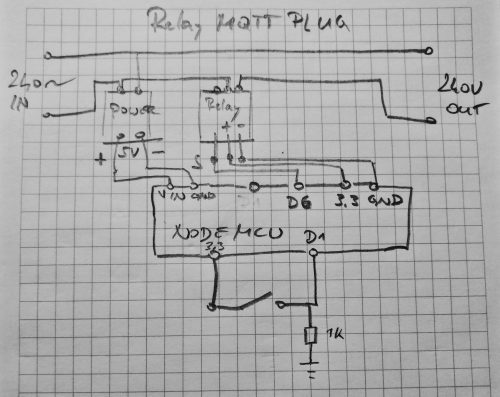 Adjust the code to connect to your network and MQTT server first. 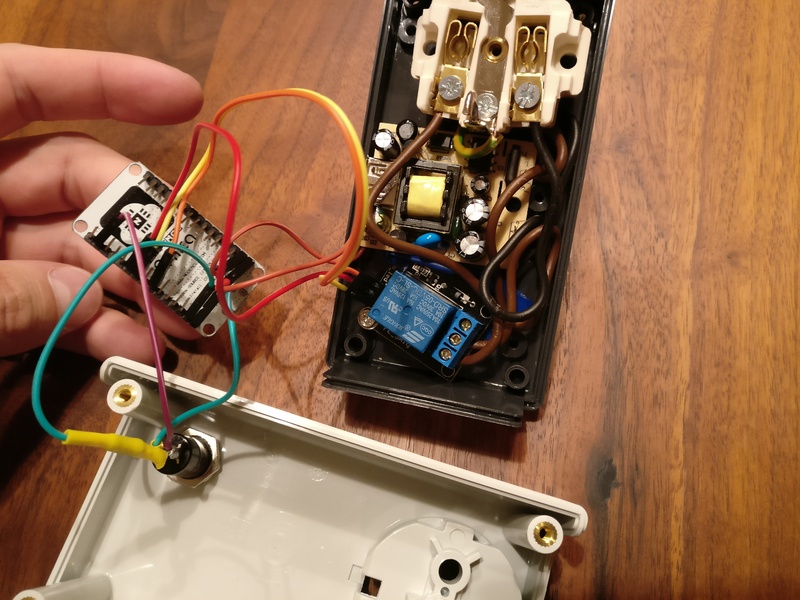 See the Home Assistant documentation for how to integrate the MQTT part with Home Assistant. The nice thing is: you can press the button to switch the device. 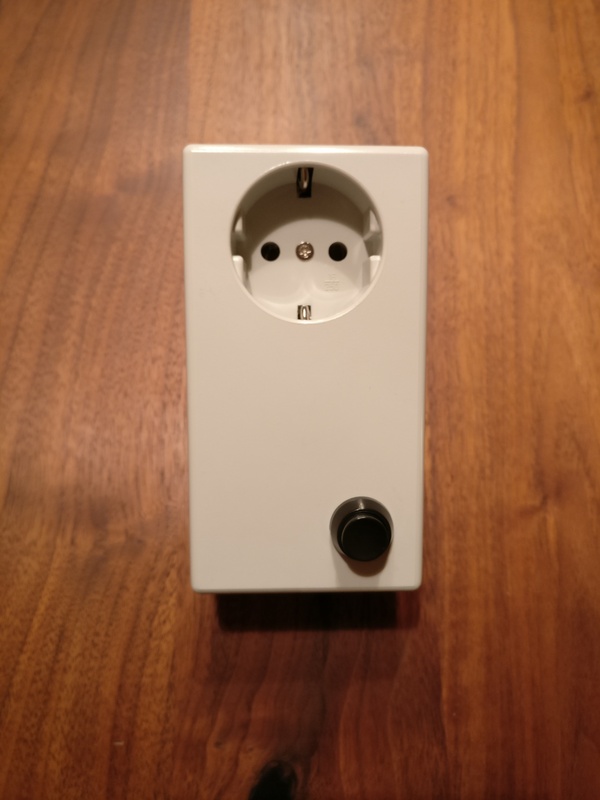 The status of the device will update via MQTT and Home Assistant gets a correct status update. You can of course switch the device from within Home Assistant as well.